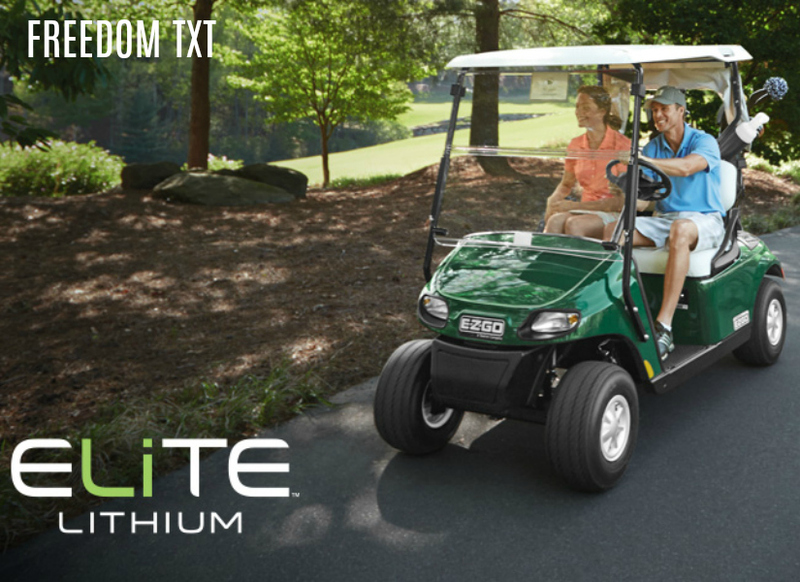 E-Z-Go Elite Lithium Ion Batteries are revolutionizing the electric golf cart industry with zero maintenance, unparalleled cost savings, a lighter cart and an unheard of five-year battery warranty. With E-Z-Go Elite Lithium Ion Batteries, there is no battery cell watering and no terminal post cleaning required by ordinary electric golf cart batteries. The result is absolutely zero maintenance! E-Z-Go Elite Lithium Ion Batteries also dramatically cut energy costs. These Samsung lithium cells are loaded into a single battery pack, using less energy, charging in half the time and requiring less out-of-wall power than leading lead acid competitors. So enjoy your all-day up-time. Want a lighter fleet and healthier turf? No problem. With batteries half the size and a fraction of the weight of lead acid batteries (49 lbs. for lithium as opposed to 328 lbs. for lead acid batteries), that’s one big load off your turf. There is also consistent performance with E-Z-Go Elite Lithium Ion Batteries. They offer a reliable power source that does not fade over time. So climb those hills and power through the tough terrain. These batteries have your back. Additionally, this state-of-the-art technology is controlled by an advanced management system that monitors efficiency, temperature, state of charge and health of batteries. It has already proven its worth in electric cars, e-scooters and power tools. In fact, the manufacturer has so much faith in its E-Z-Go Elite Lithium Ion Batteries that it provides an unprecedented five-year unlimited amp hour warranty, eliminating any costly out of warranty repairs. Gulf Atlantic Vehicles is driven by success…and the success of our customers. Tap into the power of E-Z-Go Elite Lithium Ion Batteries at Gulf Atlantic Vehicles.